The leadership of the All Progressives Congress (APC) in Akwa Ibom has issued a statement alleging serious attacks on its members by suspected political thugs in the state. Last week, a frontline aspirant for the Uruan State Constituency House of Assembly race, Hon. Utitofon Itoro Okon and a host of supporters escaped death by whiskers following ambush and attacks on her campaign convoys by thugs in Uruan Local Government. 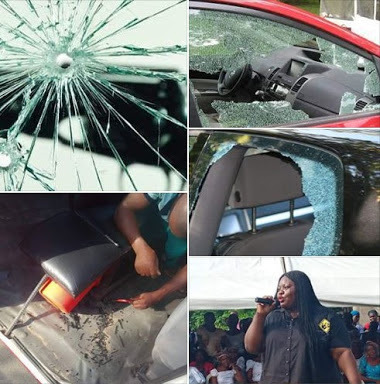 She was returning from a campaign visit to her constituency in Northern Uruan Ward 1 when at about 5.00pm, gunmen opened fire on her convoy destroying her cars and slightly wounding some of her supporters. It took the gallantry of drivers of the four vehicles in the aspirant's convoy to speedily wade through the siege.